Given the opportunity to reunite with star forward Anthony Davis, Kentucky coach John Calipari has made it known to New Orleans Pelicans officials that he’s interested in the team’s vacant head-coaching job, a source close to Calipari said Tuesday. Kentucky Sports Radio host Matt Jones then chimed in, bringing up the point that five-star Canadian shooting guard Jamal Murray was on the University of Kentucky campus for an official recruiting visit at the time of the story was broken, hinting the whole thing could have been an act to sabotage Murray’s visit to UK. Because I am a huge Kentucky basketball fan, I obviously hope that Jones is right in his comments. Jones went on to further discuss his opinions of the Calipari situation on his website, most of which I agree with. For me, I just never want to get too comfortable and let myself think Calipari is going to be around forever. I cannot control what he does, so I can’t be surprised if he leaves, ever. I won’t continue to worry myself with it, but I’m not sure I’ll ever comfortably say, “there’s no way he’s leaving,” when these rumors come along. Regardless of if he was interested in the Pelicans or not, if you’re Calipari you have to tweet something like he did to calm your fan base down. Who knows what other Cal-to-the-NBA rumors will come along between now and the Wildcats’ first game this November. The closer it gets to the season starting, obviously, the easier Kentucky fans can breathe. For now, let’s just hope Cal physically signs this contract extension as soon as possible, pray that we get Jamal Murray to commit to UK in the next week or so, and root for the Cavs to do well from here on out. In other UK news, the Cats lost out on yet another talented recruit, to another strange school in Caleb Swanigan. The five-star, Ft. Wayne, IN-native committed to Purdue today. Why you would pick Purdue over UK, I really don’t understand, but I guess his family had something to do with it. 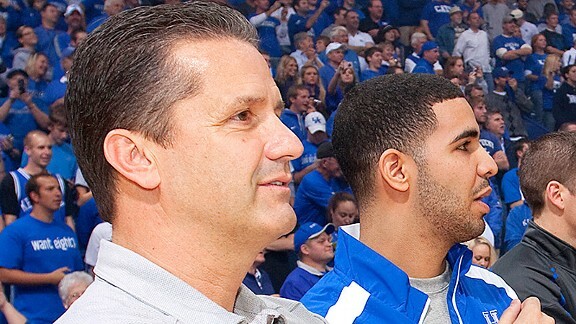 For further thoughts on the Calipari to the NBA rumors, here’s a link to a video from ESPN.